Morgan Gardner Bulkeley (December 26, 1837 – November 6, 1922) was an American politician as well as business and sports executive. Bulkeley, a Republican, served in the American Civil War, was a Hartford city councilman and bank president, was elected to the National Baseball Hall of Fame as the first president of the National League, and became a four-term mayor of Hartford, the 54th Governor of Connecticut for two terms and a United States Senator while serving as the third president of the Aetna Life Insurance Company for 43 years. In 1888, Bulkeley again ran for governor. In the election, Luzon B. Morris accumulated more votes than Bulkeley but neither had the required 50%. In accordance with the rules of the time, the General Assembly decided the winner and the largely Republican body chose Bulkeley. 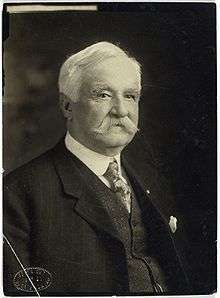 Although he did not run in 1890, the vote was so close and fell into such disarray due to ballot irregularities in Bridgeport that officials did not certify the results, and the Connecticut House of Representatives and Senate, each led by opposing parties, could not agree on a legal successor. When Bulkeley refused to recognize the Democratic candidate as the victor, the Democratic state comptroller changed the lock on an anteroom that led from the governor's office to the Statehouse. When Bulkeley found the door locked the next morning, he broke in with a crowbar, earning the nickname the "Crow-Bar Governor". Bulkeley remained in office two more years, and the state Supreme Court unanimously held that he had been the lawful governor for the disputed period of time. Morgan Bulkeley died in Hartford at age 84. At the time of his death, Bulkeley had been the president of Aetna for 43 years and had increased its assets from $25.7 million to $207 million and from 29 to 1,500 employees. Under his guidance, Aetna had been transformed from a life insurance company into a company that offered accident, health, automobile,workers compensation, and group insurance. He was succeeded by his nephew, Morgan B. Brainard, who led Aetna for the following 35 years. 1 2 3 Fleitz, David L. (January 2004). "Morgan G. Bulkeley". Ghosts in the Gallery at Cooperstown: Sixteen Forgotten Members of the Hall of Fame. Morgan & Company. pp. 5–17. ISBN 0-7864-1749-8. 1 2 3 4 5 6 Norton, Frederick Calvin (1905). 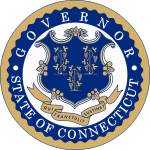 The Governors of Connecticut. Connecticut Magazine Co. LCC F93.N88. Retrieved 2006-12-29. 1 2 3 4 "Aetna At-A-Glance: Aetna History". Aetna Inc. Retrieved 2006-12-30. ↑ Register, Military Order of the Loyal Legion of the United States. J. Harris Aubin. Boston. 1906. pg. 44. ↑ Morgan Bulkeley biography - Baseball Hall of Fame web site. Retrieved on 2006-12-31. ↑ "The Origins of the National Baseball Hall of Fame and Museum". National Baseball Hall of Fame and Museum. Archived from the original on 2006-12-06. Retrieved 2007-01-13. 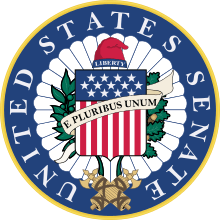 ↑ Biography at the Biographical Directory of the United States Congress. Retrieved on 2006-12-31. ↑ Bulkeley Bridge, Bridge No. 980A - Connecticut's Historic Masonry Arches. Retrieved on 2006-12-31.